Botox (botulinum toxin) is a dental and facial therapeutic agent that has been used for dento-facial applications for the treatment of facial pain, dento-facial therapy, TMJ and occlusal dysfunction for close to twenty years. The use of Botox is taught in a number of prestigious dental universities and is one of the most underused dento-facial therapies which has tremendous potential to providing new services and better treatment outcomes in every dental practice. 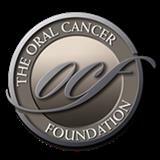 Founded by oral cancer survivor, Brian R. Hill, the Oral Cancer Foundations's (OCF) goals are supported by a Scientific Advisory Board composed of leading cancer authorities from varied medical and dental specialties, drawn from premier cancer treatment, research, and educational institutions in the United States.